My students complain that ecology is a very boring topic. 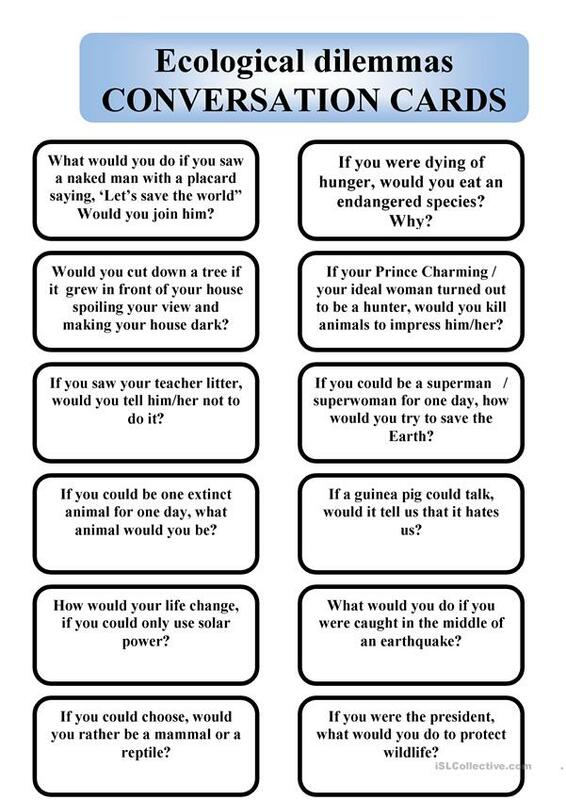 To help them survive another lesson about it, I have prepared a set of 22 "crazy" questions concerning ecology, e.g. ´Deforestation is a serious problem nowadays. 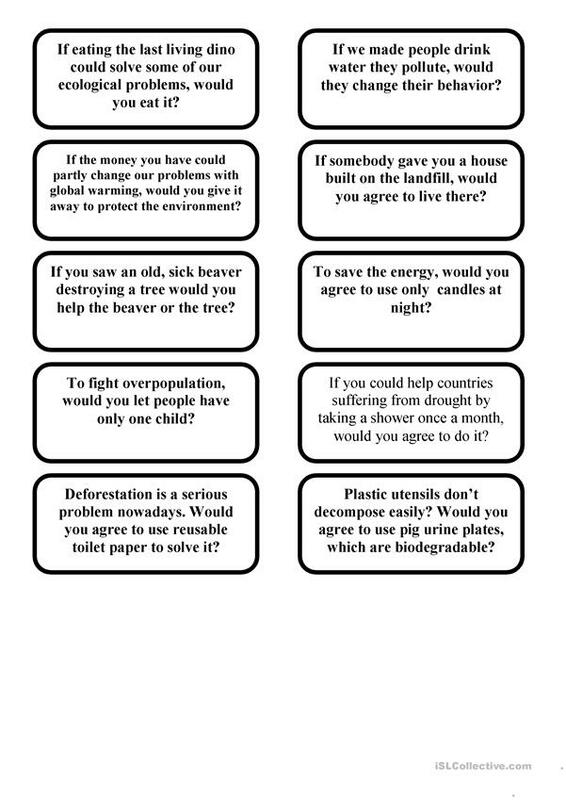 Would you agree to use reusable toilet paper to solve it?´ This task can also be used to practise 2nd conditional. This printable, downloadable handout was created for high school students at Intermediate (B1) level. It is aimed at revising Conditionals in English, and was designed for working on your learners' Speaking skills. It is focused on the vocabulary topic of Environment.